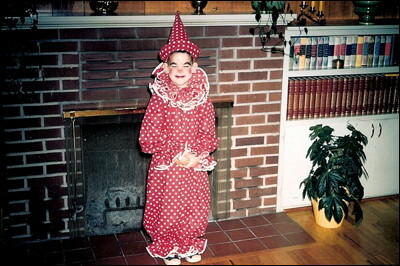 This is me (five years old) on Halloween, 1958, at our family home in Medford, Oregon. From Clown to Coyote is not such a stretch, is it? Similar smirk!